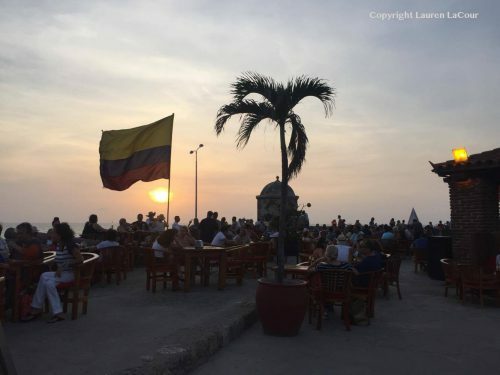 The family and I sat outside last night, getting excited for our trip to Colombia and we set out to make a Cartagena bucket list of things we want to do and see. 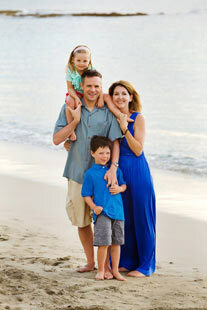 We want to have a little bit of everything for everyone in the family so we all feel like we enjoyed the trip. 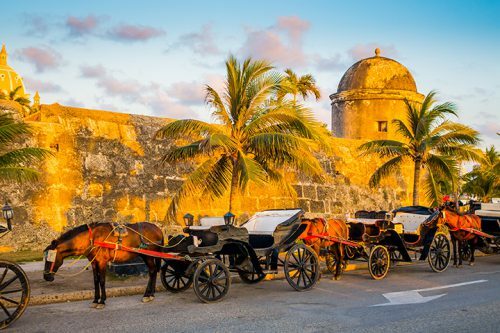 Enjoy a horse drawn carriage ride from our hotel to Cafe del Mar, a bar sitting on historic walls overlooking the sea. Getting there around 5:30 shows you a dazzling sunset and it’s child friendly. We will bring Uno to entertain the kids. A swim in the amazing pool inside the historic walls of one of our hotels, The Casa San Agustin. A stroll through the Getsemani neighborhood with my camera. A visit to the farmer’s markets, followed by a cooking class. Most importantly, Sitting in a hammock on Isla Mucara‘s, Punta Faro Hotel. Seeing salsa dancers while drinking a local beer. Cafe Havana will be the best choice. It’s in the Getsamani neighborhood, which is up and coming and a really interesting area. 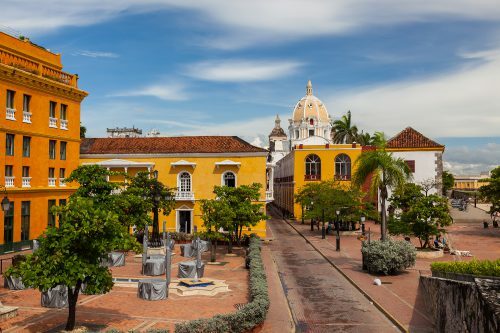 Taking a tour through the historical center of Cartagena. Walking around the art galleries and looking at all the art we probably can’t afford to buy! A cooking, followed by eating, class. Eat ice cream at Gerlateria Paradiso. Go on a “treasure hunt”. This is Cartagena, a local tour company is taking us on this tour. Children and families love this tour. Play on the beach. 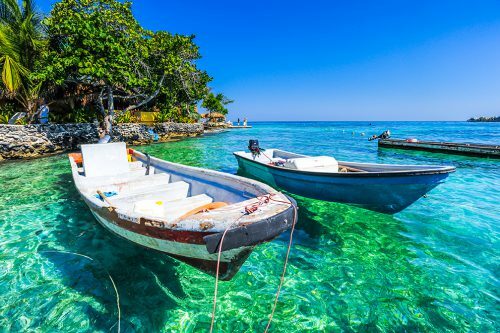 We are already staying on Isla Mucara for some beach time, but we also plan to take a day trip to the Rosario Islands. Fortunately, the islands are only an hour boat ride. Play in the awesome pool at the Hilton, named best kid’s pool in Cartagena on Trip Advisor. 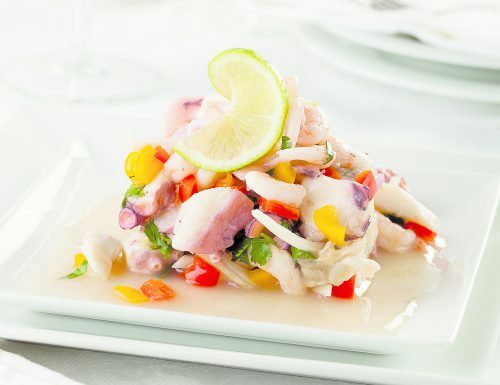 Try ceviche for the first time. Eat ice cream at Gelateria Paradiso. Get a Colombia doll. I’m not sure she means buy a doll in Colombia or get an authentic looking Colombia doll. Maybe a salsa dancer? Go on our treasure hunt. Take a cooking class with mom and dad. Kid’s are pretty easy to please as long as there is a swimming pool or a beach! Keith and I are hoping they can take in and appreciate the culture as well as the ice cream, and I’m excited they are getting to the age where they will remember a lot of the trips we take them on. 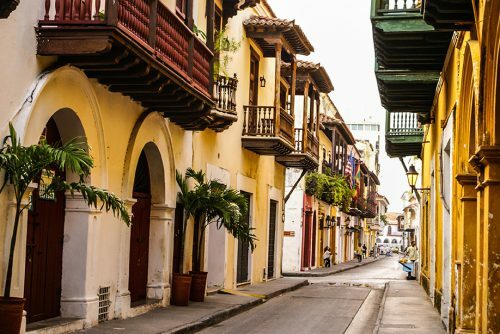 There’s no chance that they remember Cambodia or Kathmandu, but I hope that by making a Cartagena bucket list, the excitement of going somewhere new and different will wear off on them. And hopefully help them remember for years to come. 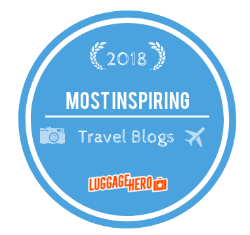 I really feel like the trick to traveling with kids is getting them involved in some of the decisions and making it more about all of us rather than a big tour for mom and dad. 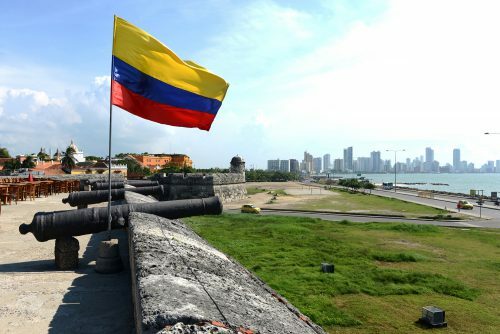 For a really extensive Colombia itinerary, check out The Boutique Adventurer! 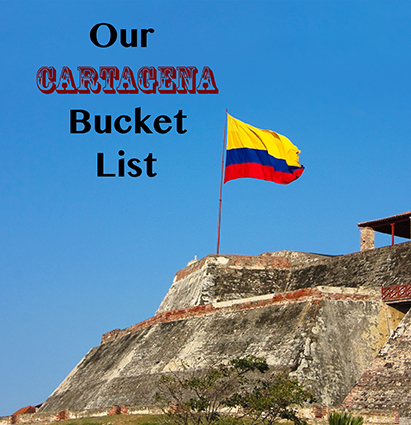 Do you have a Cartagena bucket list of your own? 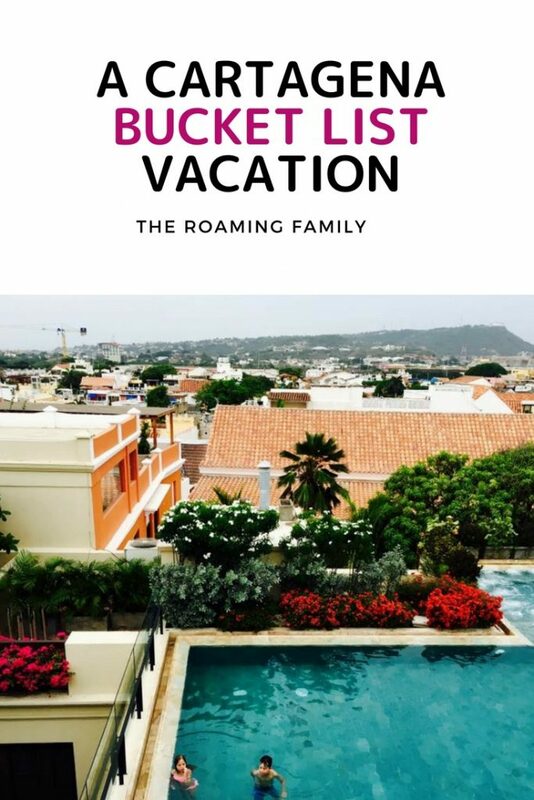 I can help plan your vacation and make it happen! Just contact me here for my travel advising services. You can follow me on Instagram here.